With no significant oil, gas, or mineral deposits, Japan has always been forced to supply its economy with raw materials from abroad. In the years leading to WWII and during the conflict, it employed military force to occupy resource-rich territories. Today, it obtains such essential materials by trading. But the fundamental situation has not changed: Japan has no natural resources on its own and is dependent on foreign supply. Apart from hydrocarbons, which it imports from the Middle East, this is also the case for rare earths (RE), a group of metals that are essential inputs for the high-tech industry. For its supply, Japan relies on China, which holds a virtual monopoly over the production of these metals. This is a major problem for Tokyo, particularly due to its complicated relationship with its ascendant neighbor. But things might be about to change. The discovery of what has been described as a “semi-infinite” rare earth deposits could dramatically change the geoeconomic situation, with notable strategic and diplomatic consequences. At the same time, the emergence of unconventional energy sources is providing Japan with new opportunities to diversify its supply and lessen reliance on a volatile Middle East. Such a combination of factors has the potential to dramatically change Japan’s geopolitical condition and solve many of the problems it is now facing, thus expanding its room for maneuver on the international scene. 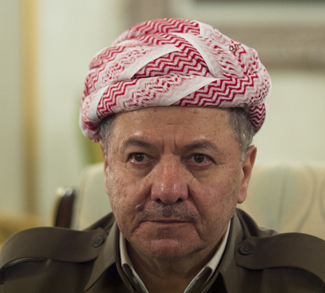 Pressured from All Sides, Will Iraqi Kurdistan Back Down?